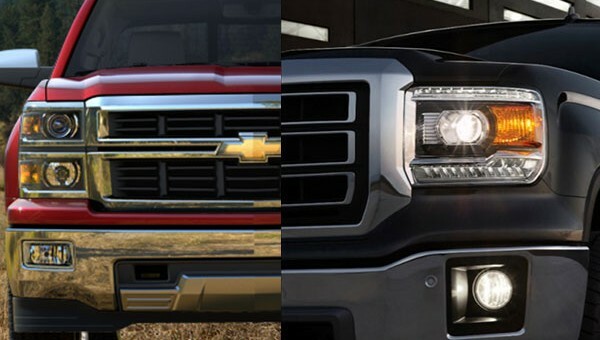 When the 2015 Ford F-150 was revealed during the 2014 North American International Auto Show, it sent many critics writing about how the 2014 Chevrolet Silverado and 2014 GMC Sierra had a lot of catching up to do. Whether that’s true or not, it doesn’t change the fact that the 2015 F-150 features the most patents of any Ford truck to-date, and features a lot of innovations that the GM trucks do not, and we’re not just talking about aluminum here. One specific work solution that 2015 F-150 promises is its BoxLink system, which, as described by Ford, is a “cargo management system includes lockable, die-cast aluminum tie-down cleats, and provides a unique interface to the box for improved flexibility and organization, as well as additional locations for tie-downs. Available segment-first cargo ramps can be stowed on the sides of the pickup box via the BoxLink system and mounted quickly on the tailgate to enable easy loading of ATVs, motorcycles or mowers.” GM trucks don’t exactly offer this type of feature today. However, we’re here to say that The General doesn’t seem to be standing still on the matter, and has moved to trademark the “GearOn” name, based on a very recent USPTO filing — which is accessible to the public. This name is for a feature described as “truck bed cargo system comprised of tiered storage cross rails, utility rack stanchions, cargo dividers and cargo tie down rings.” Sounds pretty similar to BoxLink, if you ask us. It also sounds very similar to “Goron,” which is a race of mountain-dwellers in The Legend of Zelda series, just like the aquatic Zora race, which was a name also recently trademarked by GM. At this rate, we wouldn’t be surprised if we saw “Triforce” in the USPTO database next. Probably as some sort of triple turbo setup. At any rate, maybe somebody important read our list of 10 suggestions that GM’s trucks could use right now. Following the industry leader I see…….Nice job GM. Now wait until Ram comes out with their newest truck innovations so you can (copy) adapt more advanced features further down the line. GMs just not smart enough to innovate the way Ford is accelerating thanks to CEO Alan Mulallys continuos improvement mindset… Certainly has the Ford troops rallying n thinking “outside the box”…! New 2015 F150 has over 10 segment exclusives that GM only wishes they had…. Years of advantage for Ford n marketshare gains…! Plus, everyone in the industries are talking about the new F150 and they can’t wait to get one… Gonna be a big success for Ford…! Not too sure on how much better Ford will be with the Aluminum. It is a given that the Cost of the trucks will be more. It is a given Ford will be reluctant to have incentives like they have had this year. The curb weight has yet to be announced even as an estimate and that to me is telling. If you are going to kill a lot of weight you would be blasting at least a good estimate around by now. They keep making a fuss over how they have tested and tested it but I do not think people are as worried as they think about the durability since Aluminum is not new to the industry just to Light trucks. How many heavy trucks use aluminum now with beds and trailers. The repair cost will be a problem at some point as it is expensive no matter how you slice it. There is not fixing dents or pounding out fenders. Aluminum has no memory and has to be replaced. This cost alone will run up insurance cost how much the market will determine. The higher purchase price and higher repair could effect fleet sales. Ford makes more sales here than anyone and fleet sales are all about cost to buy and operate. The fuel savings may not be enough. Also the repair shops will have to invest heavy to work on these trucks as the tools used on metal can not be used on aluminum. Also they will have to learn how to bond the aluminum. In time this will be important for the entire industry as we will see more aluminum as time goes on but the first to the lower priced car and truck market will have to pay the price for the change with increase cost that will be involved. As time passes it will be less a factor. This is a case being first has it’s good but it also has it’s baggage. I hope it does well but only the market can tell us how well it will do. Being a Ford and owner loyalty as it is I do not expect a massive change to the ranks in the market. Gain a little here lose a little there and in the end the numbers end up pretty similar. The real gain here is in marketing than anything. Like the Ecoboost it really did not gain much over the V8 in MPG but in marketing it got a lot of press and interest. Ford did not gain many more sales but they have gotten loyal owners to leave the V8 for the V6 and that could prove to be a big help moving forward as the days of cheap v8 engines are slowly coming to an end even in trucks. Less mass and smaller engines are the future. GM is far from done and there is much more coming. Just because you to not hear about anything does not mean nothing is being done. The truck we have is not gong to be around as it is for very long. This will be one of the shortest gens we have seen. A lot is riding on the smaller trucks and it will be interesting to see how they do. Keeping cost down with steel is key and using light high strength steel is key for weight and MPG. The question is will the public accept this path. Ford has already taken steps to over come the aluminum insurance issues with better design in the new F150 with modules that can be more easily replaced… Repair shop training with the industry assn… Reduced costs thru-out the new truck design… Better matl cost mgmt n scrap recycling with Aluminum providers…So I believe the issues with aluminum are well contained n predictable n reasonable. The wt savings has been well publicized at up to 700 lbs for the most popular config 4wd super crew… And MPG improvements will be surprising with the new “high output” 2.7 v6 EcoBoost using another industry first CGI composite block for diesel like pressure approaching 15:1 compression ratio for high efficiency! If Mazda can get 14:1 CR in SkyActive engine without CGI then Ford has much more capability in store…!!! Greg the steps they have taken are not going to be enough to neutralize the cost. It will be more no matter how what they do. It may be less than it could have been but it will still be more than steel. The fact is they are not contained just minimized as much as they can. The weight savings of 700 pounds is compared to Fords present model not Chevy or Ram. The weight savings based on Fords numbers and the present Chevy weight will be 300-375 pounds as an estimate by those in the know. The present Ecoboost is about the same and the weight loss will helps some but you will only see a MPG or 2 better in real world city driving and maybe more on highway. Do not fall for all the hype and media Ford is putting out. Ford right now has one of the best marketing arms and they are good enough to convince many they invented the world. The truth is there will be improvement but not with out a price to pay in other areas. Also the gain will be there but not as great as some expect. Either way it is a move in the right direction but in the end how much Ford makes on these trucks is what determines if they did it right or not. If profits are down on the trucks then it was not what they had hoped. I wish them well but I do not have the rose colored glasses on that Ford Marketing is passing out on. TO be honest I am not sure if GM Is even doing the right thing on the smaller trucks as it is a unproven market. I am interested but how many others can be lured to them. Also how many conquest sales will they bring vs. robbing sales from the full size if they even do that? Next year will be well worth watching. The positive take rate on the smaller GM trucks and the fleet sales with no drop off for Ford F150 trucks are the two key points both sides need to accomplish to make this a win for each. This is not cut and dry as some would like you to believe. Ford is not marketing the hell out of this because they think this one is in the bag. There are many at GM and Ford not going to sleep well till the first sales reports start coming in. I think GM has little to worry about on the trucks here. I think the vehicle that will make up more ground and market share will be the Ford Transit. I just read a review of the American version and it is amazing. Joined with the smaller van they have a solid one, two punch here that GM does not have yet. I know GM is working on two new vans but the chapter 11 has pushed these back and it will hurt them till they get the vans done. The trucks are more about loyalty and few change sides but in the van market it is very corporate and the price, durability and versatility all play a bigger roll over loyalty. If you have not read about the new Ford Van you need to check it out. To me it is a bigger jump than just adding aluminum to a F 150. The van is a real game changer. It has taken the Ram high van and made it leading edge. weeb browser compatibility but I thought I’d post to let you know. The style and design look great though! Hope you get the issdue fixed soon.